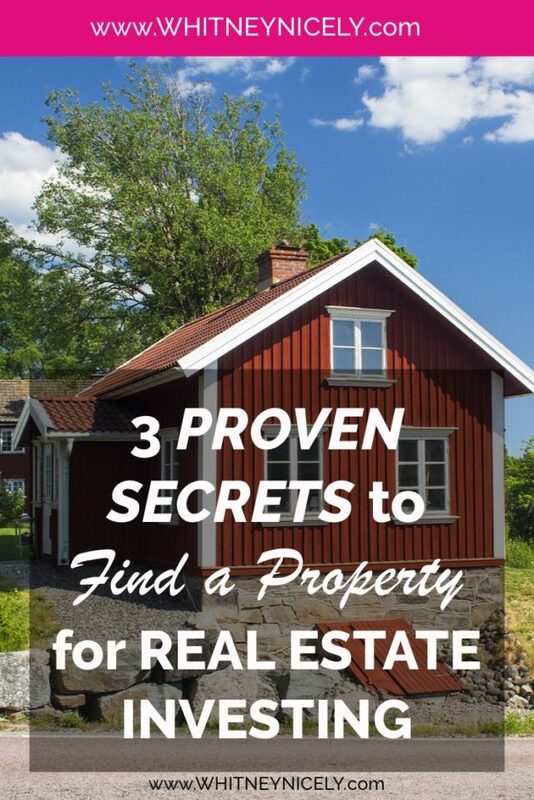 Are you a real estate investor, but need to find a property to invest in? Sometimes it can feel like spinning your wheels. I’m going to teach you some simple strategies to bring in so many leads you can’t handle them all. How would you like to have leads coming to you? What kind of free time would you get back in your day? Or, if you followed simple steps and had sellers contacting you eager to sell their house to you? I’ve been doing this for years now and I’ve taught dozens of my clients to do the same. Trust me. You will be SO thankful to have this new tool in your toolbox. I can’t wait to hear how these works for you! When I was just getting started investing in real estate I invested SO many money trying to get my education. I went to conferences, weekend trainings, bought the books, and just tried to learn how to bring in leads. And, I did a TON of them. I bought and sent out the marketing materials that didn’t work, and tried the billboard ads, and sponsoring the kids’ ball games, etc. But, none of them brought in a solid stream of leads, if any. These strategies are thirty years old, and are outdated options for today’s real estate investor. 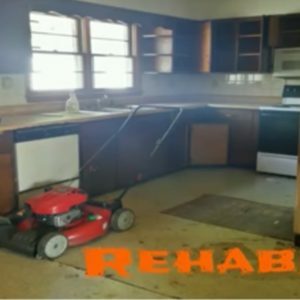 So, I want to teach you the easy way to have so many leads coming your way and help you find a property over and over again. Y’all, Facebook has over 5 billion people on it, and this includes your sellers! 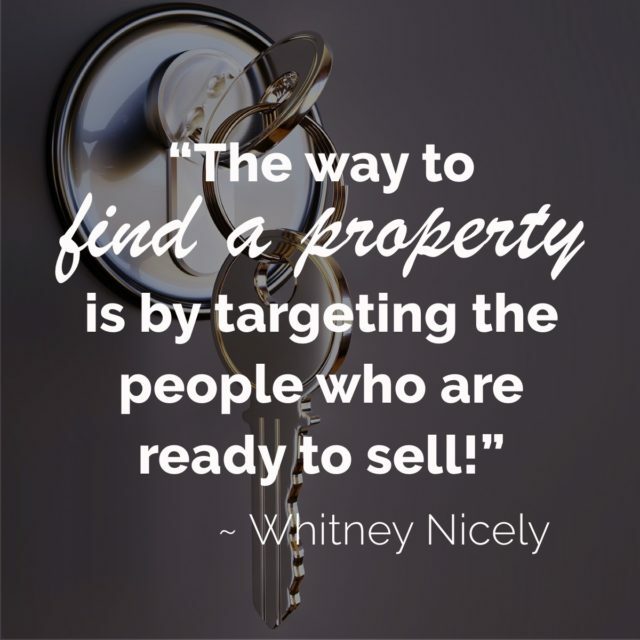 Without much more than some regular posting, you can connect with people to help them unload the properties they want gone. But, you have to train your people to respond the way you need. And, I’m just talking about organic traffic; not spending a bunch of money on sponsored ads, or anything like that. There are so many different ways to do this. Post a picture of you buying paint or tools and ask any number of questions about how to use them, or what people think you’re in the process of doing. Just remember, though, when you’re trying to post with the purpose of creating leads, you have to think strategically and stay on topic. Keep the focus of your posts on real estate, not just random humor (yes, I’m talking about the cat GIFs and memes). Keep the pictures and questions real estate related to keep your friends and family on track with your goals. All of these posts and their questions train your friends and family to know that a) you buy houses and you aren’t joking about that, and b) they need to respond to your posts with their thoughts on your questions. This is critical, because this is the way Facebook works. The more engagement and responses your posts receive, the more the post gets shared and shown on various news feeds. And, as this happens, your name and the fact that you buy houses become more and more well known. Once your good friends and family start commenting fairly regularly, don’t be afraid to even ask them to share the post, too. Though likes are easy and natural to do, a share goes MUCH farther in Facebook’s algorithms. This is how you can build momentum and keep the pipeline moving. Secret #2 – You can turn one little letter into a money making machine. I am always shocked to learn how few people even know about this strategy, but guys, it WORKS. This strategy uses good ‘ole snail mail to reach out to sellers and let them know you are looking to buy. I know everyone thinks that snail mail is dead, but it is not. Whenever someone is looking for another super simple option to contact sellers I always tell them, “yellow letters,” and then I get the confused looks. Y’all, the yellow letter is amazing! It is the most simple letter that you write to sellers on a yellow piece of paper. You say just a simple few lines, direct and to the point, and then send them off to your sellers. But, you will be amazed at how much of a response you get from these simple little letters. Here’s the beauty of the yellow letters: you can send these to a targeted list. You can focus your efforts on the most likely people who would be interested in selling quickly. Maybe they live out of state, or have forgotten about the house because they inherited it or owe nothing on it. Or, maybe they hate their property manager, and don’t trust real estate agents and don’t want to list it. No matter what the reasons, they are aching to get rid of the property, but they have been stuck. This is how you find a property owned by an eager seller: you target the people who are situationally ready to sell. And, YOU get to be their hero. How awesome is that? You can use an office number, or a Google Voice number, or whatever you choose, but with this template that I’ve provided, and the right envelope size, using a target selection of addresses, I am confident you will get sellers calling you ready to hand over their properties. Secret #3 – Your friends and family want you to prove yourself before they promote you. Although this statement is true, I want to teach you a really simple, quick way to speed your experience along. This is with BUTTONS. I know, I know. It sounds cheesy and ridiculous. But, these buttons are amazing. I’ve tried a ton of other methods, and let me tell you: the buttons are the most efficient and effective tool to start new conversations. And new conversations bring in new business, no matter where I go. I was in the grocery store the other day, wearing one of my buttons, and the clerk ringing me up saw my button and asked, “Oh, you buy houses?” And, I said, “Yes, ma’am, I do.” So she tells me that she has her mom’s house with 15 acres behind it and that I could come take a look at it. So, my mom and I drove over there that night and I bought her house. That’s how quick and easy this process can look! I’ve worn a few different statements on my buttons but the ones that have gotten the best traction are those that say, “I Buy Houses!,” “Ask Me About Real Estate…,” or “Tell me your real estate sins….” The goal is to start a conversation and to continue to spread the word with those who know you that, yes, you do indeed buy houses. Your friends and family want to know you’re serious about this thing you are doing, and once they believe it, too, they’ll share like gangbusters. Someone somewhere said that it takes seven touches for people to really remember and internalize something, even before asking about it. They need to see it, touch it, think about it, etc. JUST by wearing this button you are effectively accomplishing these touches without ever even opening your mouth! It’s truly great. I am sure that these three secrets are going to knock your socks off when you start doing them. But truly, this is just the tip of the iceberg. There is so much more I want to teach you about yellow letters, talking to sellers, and more. I would love to help you keep learning other ways to find a property easily so you are moving and grooving with real estate investing. If you are ready to jump in and find a property to invest in and then repeat the process over and over, then you need my premier course First Deal Done Fast. But, seriously, these secrets are only a sampling of what I teach. I will teach you how to make money in your sleep, create a passive income stream that can build true generational wealth for decades to come, and more. I’ve helped dozens and dozens of women to achieve the lives of their dreams through this course. And I would love to partner with you while you get started on your journey. This course is completely self-paced, AND you will connect with an amazing group of fellow investors to learn from, grow with, and celebrate alongside. I’m telling you, this group is amazing. There is no other place I think is so much fun! So, Are You Ready to Change Your Life? I look forward to hearing from you and working with you, but ultimately it comes down to you. Whatever you believe about yourself or your situation, you’re right. I’m not in the habit of trying to change people’s minds. I will agree with whatever you think. However, if you are truly ready to dig in and get to work, welcome. I can’t wait to hear all about what you accomplish. What is one way you have started a conversation about real estate? Tell me all about it by commenting below!